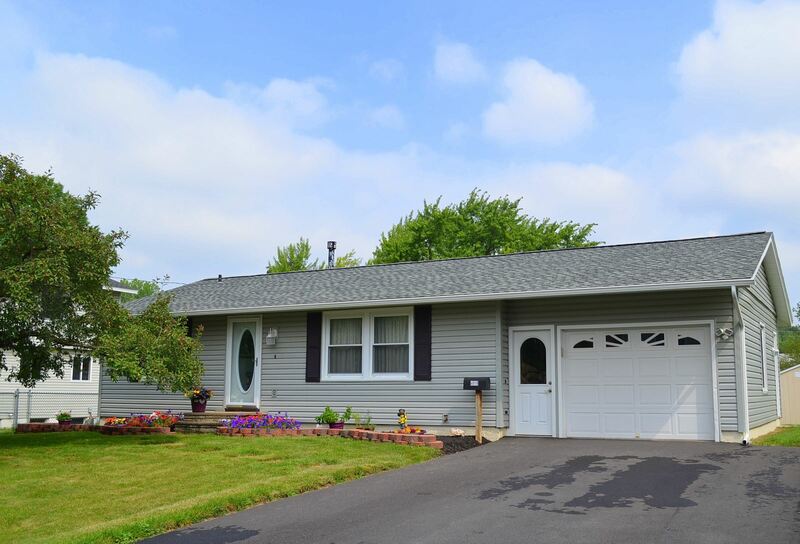 Updated Ranch Home, Liverpool NY Real Estate, Great Backyard - Contact Bob McTague at 315-882-6610 for more information about this home located in Syracuse, New York. Liverpool, NY Neighborhood -. Located minutes from pharmacies, grocery stores, banks, restaurants, NYS Thruway, Route 81 and the North Medical Center. Mail Floor Features - A large eat in kitchen, wide open transition into the Living room, with sliding glass door opening to an expansive deck to comfortably entertain your guests. The kitchen features Natural Maple Kraft Maid cabinets, Corian countertops and tiled flooring leading into the bathroom. The bathroom has a Kohler sink and toilet but you may prefer to relax after a long day in the whirlpool tub. Conveniently located next to the bathroom is the master bedroom with wall to wall carpeting, mid-wall electrical connections for your flat screen TV and wiring for a ceiling fan. The guest bedroom is also wired for your ceiling fan and has a wall to wall closet. This bedroom and the Living room just had their Oak hardwood floors refinished, are highlighted by the Birchwood baseboard, doorjambs and doors installed when the home was remodeled. The Living room not only features the Oak floor but also overhead lighting and is wired for 5.1 sound to enjoy your favorite music or to become your own private movie theater. Updates - During the remodeling stage Comfort windows were installed everywhere except for the insulated garage. The 50 year roof was installed in 2008 followed four years ago with insulation and vinyl siding. The new driveway was done in a two step process first laying 10" of stone then coating with asphalt. A year later in 2014 a fine topcoat was applied completing the driveway. Exterior - Completing this home is a shed in your large backyard and deck ready for entertaining, your dog, or a game of horseshoes and a 1 car attached garage. 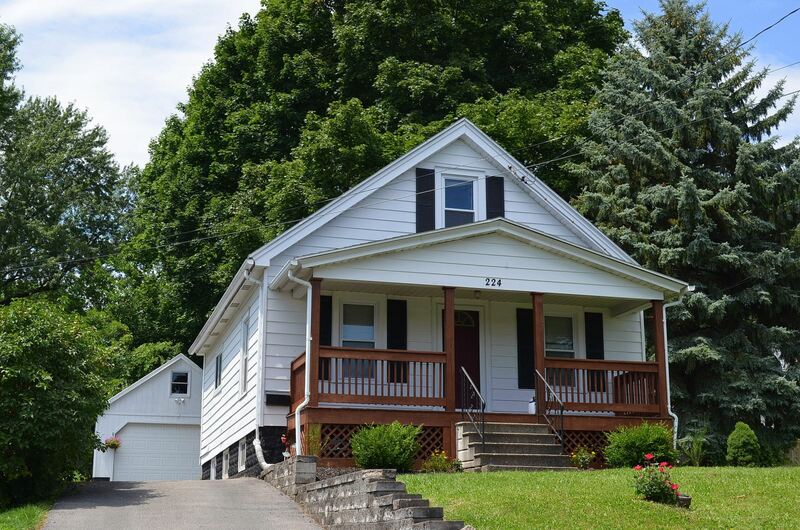 Liverpool NY Real Estate, Updated Ranch Home, Great Backyard - Contact Bob McTague at 315-882-6610 for more information about this home located in Syracuse, New York. Eastwood, Syracuse NY Homes, 3 Bedroom - Contact Bob McTague at 315-882-6610 for more information about this home located in Syracuse, New York. Syracuse, NY Neighborhood - This updated and "move-in" ready 4 bedroom home is located on a popular low traffic street in Syracuse bordering Schiller Park. First Floor Features - This home features and open floor plan with an updated kitchen and large living area, a front bedroom or study, an updated full bath, another first floor bedroom, and a first floor laundry/mudroom. Second Floor Features - The second floor offers a third bedroom with a sitting room or office. Updates - Newer roof and furnace. Exterior - The exterior offers a 2 car garage, front porch, and a partially fenced yard. Syracuse NY Homes, Eastwood, 3 Bedroom - Contact Bob McTague at 315-882-6610 for more information about this home located in Syracuse, New York.